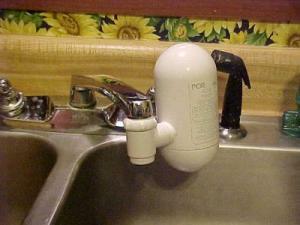 Household water that has a sulfur or egg smell is very unpleasant. Determining the cause and rectifying it quickly becomes your goal. This is a guide about tap water smells like eggs. We have moved into a house in the country with a well. Shortly after moving in, we began to smell an egg smell in our water as it comes out of the tap. I read elsewhere that this is an aeration problem in the water supply, but no advice was given for a homeowner to remedy this. Any solutions out there? 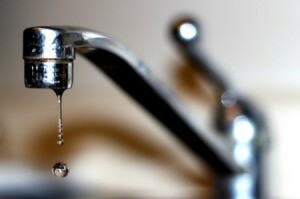 The odor is caused by minerals in your water. The "egg" smell is sulphur. If your dishes and clothes turn orange when you wash them, you have iron, also. This does not mean your water is bad or unsafe, but you should put a filter on your well, preferably between the pump and the holding tank. You may also buy a filter that fits right on the cold water faucet of your kitchen sink, but will still have the odor in the shower, washing machine, etc. We have many minerals in our well water, so we have a large filter at the holding tank, and another filter on the cold water in the kitchen. It is a PUR filter, and you can't filter hot water with it, but it swings down to filter cold water, and then when not in use it flips up and out of the way. You can find these filters at Lowe's, Home Depot, and Walmart. If you are confused with all the different filters available, ask someone to help you. The Pur filters for the kitchen faucet are the easiest to install, so you might want to begin to solve your problem in that area to have more palatable water for drinking and cooking. It is definitely sulpher. Bought a brand new house, new well, etc. First night there, rotton egg smell. We bought an under the house filtration system for $2000. A charcoal filtration system that backwashes is the ONLY way to eliminate it before it comes in the home. But if you can stand the smell, it is perfectly safe to use and drink. My aunt's water is like that because she has well water. She has a filter on her tap like the one in the picture another person posted. This is definitely something you should have been told about before purchasing the home, though! We just moved and are having a someone come to add some chlorine, then remove all the water. Hope this helps because we just built and I hate this smell.